The Mark Moran Group recently opened their latest luxury retirement, aged care and wellness precinct in the exclusive Sydney suburb of Vaucluse. 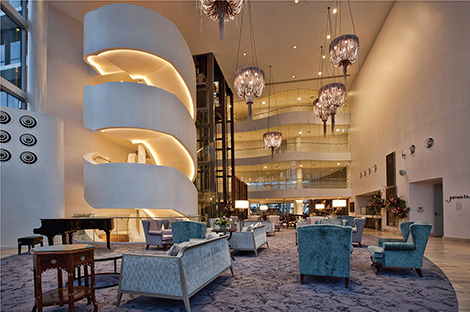 The complex is more reminiscent of a high-end boutique hotel than a traditional aged care facility, with its state-of- the-art gymnasium, restaurant-quality room service, luxury spa, cinema and a unique Digital Concierge service. Yet the facilities still retain a welcoming, homely feel – a combination of serenity and class, perfectly reflecting the iconic seaside suburb in which it’s located. architects Marchese Partners was the value they place in residents’ everyday life experiences. As experts in seniors living design, Marchese Partners collaborated with the Dementia Centre at the University of Stirling, UK, to create innovative design solutions for the seniors living & aged care environments. A report by the Commission for Architecture and the Built Environment found that “older people want homes that give them independence, choice and the ability to maintain their friendships and family contacts”. And in creating such spaces for seniors to live independently, “good design is vital”. Along with independent living units, Mark Moran Vaucluse comprises a range of aged care and rehabilitation units, with each one purposefully designed to ensure residents can enjoy life with maximum independence. An important aspect of this design was the specification of kitchen and bathroom fittings and fixtures – so for Mark Moran Vaucluse, Marchese Partners turned to Caroma. Caroma offers a range of kitchen and bathroom fittings specifically designed to assist seniors to live independently, including products compliant with AS 1428.1 Design for access and mobility. With toilet access sometimes difficult for seniors with limited mobility, Marchese Partners specified the Caroma Opal II Wall Faced Easy Height Toilet. This modern, streamlined toilet has a raised seat height, which makes it easier for those with restricted movement to transfer onto and off the toilet. The architects also specified the Caroma Care 800 Wall Faced Close Coupled Toilet with Backrest. 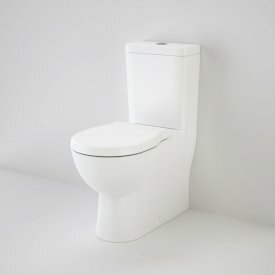 As well as a raised seat height, this toilet has a built-in padded backrest, making it much more comfortable to use. The backrest, as well as the raised pan height and increased pan projection mean that this toilet is compliant with AS 1428.1 Design for access and mobility. 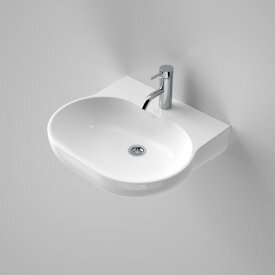 Limited hand strength and mobility can often make using standard tapware challenging. For Mark Moran Vaucluse, Marchese Partners specified the Caroma G Series Concealed Wall Sink Lever Taps. These taps have large lever-style handles and feature ceramic disc cartridgesfor smooth, easy activation and greater water control, making them ideal for aged care facilities. 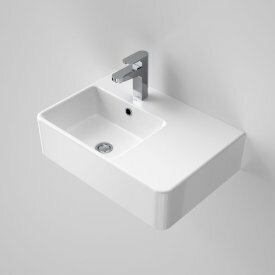 Marchese Partners also specified the streamlined Opal 510 Wall Basin and the Cube Extension Wall Basin, which can both be installed to comply with AS 1428.1 standards.